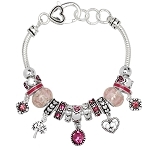 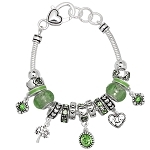 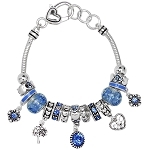 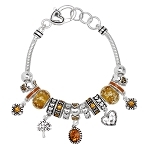 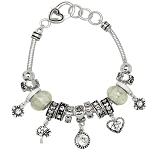 Get a Beautiful Touch of Pandora Inspired Fashion with this Alexandrite June Birthstone Charm Bracelet, great fit for any casual and formal occasion. 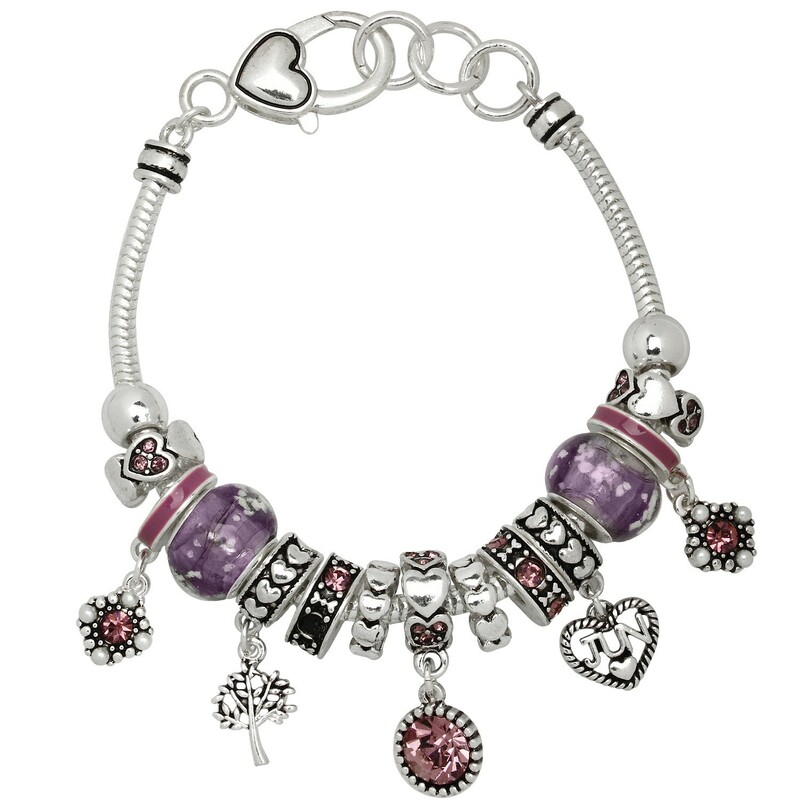 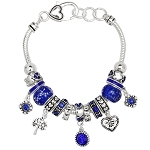 It's a perfect combination of Heart and Tree Charms, Alexandrite Murano Glass Beads, other Crystals, and differently shaped Metal Beads. 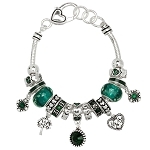 It is nicely crafted in Soft Vintage Style, and settled on a thick Sterling Silver plated chain with an Extender ring. 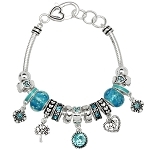 The Bracelet is 8" long. Anti-allergic Jewelry, Lead and Nickel compliant. 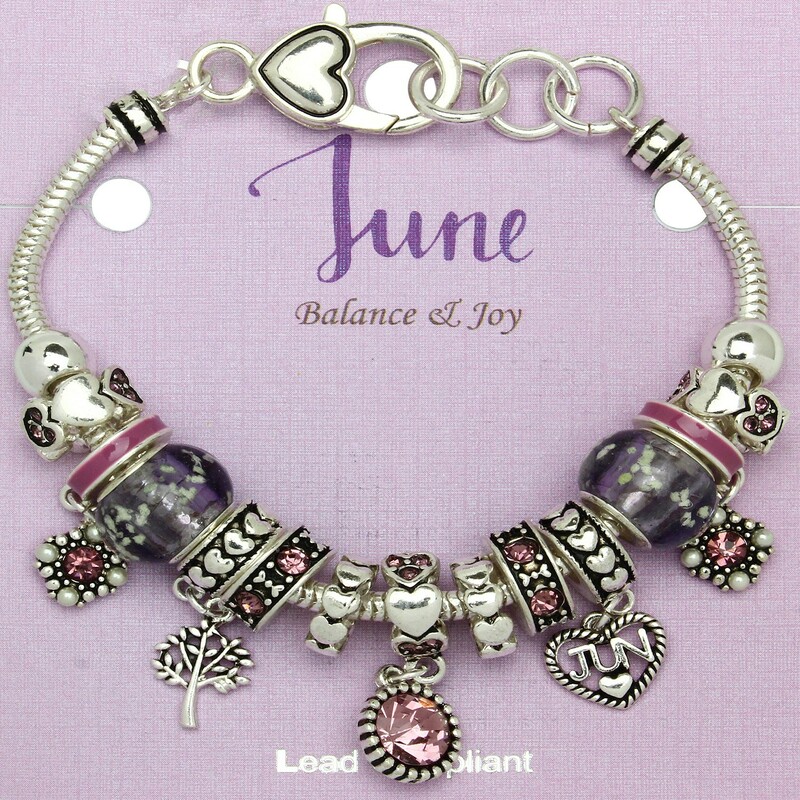 Alexandrite, as a June Birthstone will bring more Balance and Joy into Your Life.